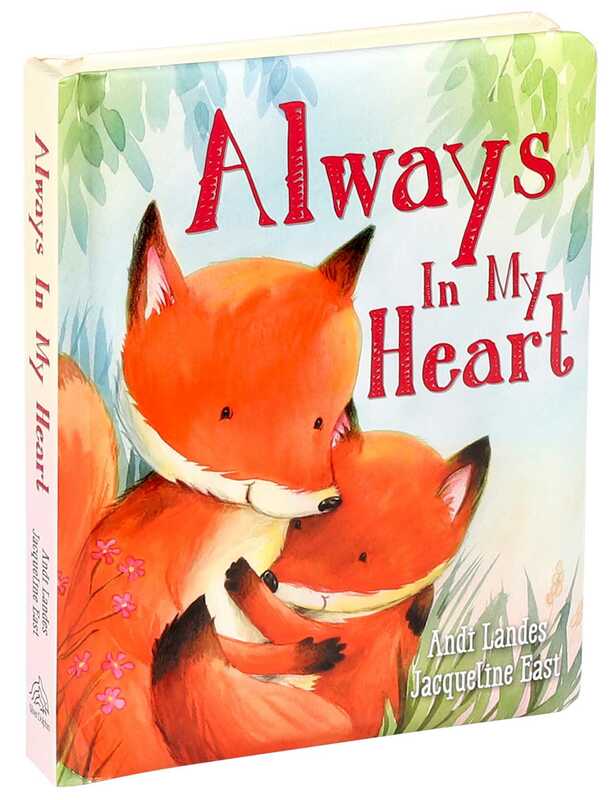 A precious love poem written from parent to child, Always in My Heart is a sweetly illustrated board book that will melt hearts. Parents will enjoy sharing these reminders of the special moments they share throughout the day with their little ones. Always in My Heart includes space on the inside cover to write a personal message in this keepsake book that is a gift to be treasured. Andi Landes was born and raised in Southern California and graduated with a B.A. degree in speech pathology and audiology from San Diego State University. She has been in publishing for more than 15 years, working in various capacities including sales, buying, inventory management, and operations—she is excited to add author to the list! Andi has a love for travel, cooking, and watching bad TV. She lives in San Diego with her husband, daughter, Kensley and son, Wyatt. Jacqueline East loves to illustrate families and animals. She creates warm, friendly, and magical worlds for children all over the globe, so when you see her work, you know you are part of one big family.